Mums have been calling for some of Jacqueline Wilson’s books to be ‘pulled’ after they deemed them ‘inappropriate for children’. If you grew up in the UK between the years of 1990 and 2010 (and even continued into now), you’ll be hard pressed to find someone who didn’t read a plethora of Jacqueline Wilson books. She was the voice of a ‘millennial’ generation, helping them overcome struggles such as childhood death, trauma, underage romance and parental issues. But it seems that those children who grew up reading her novels are now turning back on their experiences, and after giving the issues discussed in the books a ‘re-think’, they’re deeming them ‘too inappropriate’ for their children to read. 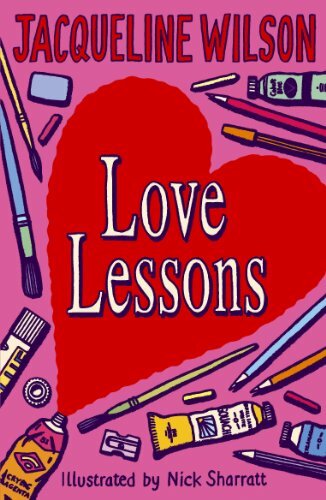 On popular parenting advice and debate website, Mumsnet, one woman sent in a question about Wilson’s popular novel, Love Lessons – which sees the main character Prudence (Prue) fall madly in love with her teacher, Mr Raxberry, and the pair even starting an inappropriate relationship – despite the fact he’s her teacher, and is also married with children. It is only when her friend calls out the relationship (which the teacher, Mr Rax tells Prue he has been ‘fantasising’ about for weeks following a kiss in his car) that the pair are forced to be separated, with Prue leaving the school and Mr Rex being allowed to stay on and continue his role. “You should have thought of that before you started acting in this ridiculous and precocious manner. If I were another kind of head teacher I would have Mr Raxberry instantly suspended. There could even be a court case. He would not only lose his job, he could find himself in very serious trouble. Did you ever stop to think about that?” –> is complete victim blaming and ignoring (and failing to report) abuse. “The girl says “none of this was his fault.” and the head teacher says “I’m inclined to believe you.” Again blaming the girl for what happened. Many mums joined in with her debate on the thread, with many shocked and ‘horrified’ at the realisation of what they had been reading/allowing their children to read. One mum wrote in response: “Wow, I remember watching that on tv when I was a teen. It didn’t even occur to me she was innocent and he was an abuser. However some argued that it was a great talking point, that if you KNEW what the book entailed, you could allow your child to read it and then discuss further the themes that were present within the novel. While books like this are good because they DO depict a world that is real and happening for teens of all ages, whether it be divorce, sexuality, death or parental circumstance, Jacqueline has definitely had the world talking for years. Should her content be ‘restricted’ from teenagers? Probably not – after all, speaking for myself I grew up on Jacqueline Wilson books and have not been ‘affected’ by the content I went on to read – but if you’re concerned about what ‘messages’ she is sending out, it might be good to sit down with your children beforehand and discuss further the themes that are mentioned.